On Wednesday 11th November, the pupils at Parklands held a special assembly to remember the those who have fought, and still fight, for our freedom. 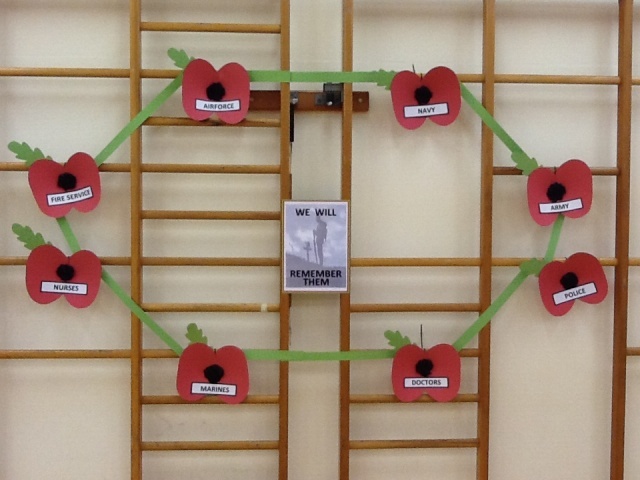 Each class brought their own poppy into assembly and we said thank you to the different services that protect us as we created our own poppy wreath. We would like to say a big thank you to everyone who bought a poppy or any of the Royal British Legion merchandise. All donations have been handed in and we look forward to telling you how much we have managed to raise this year.